Adorn your hair with these elegant crystal and pearl hair pins for timeless and elegance style. 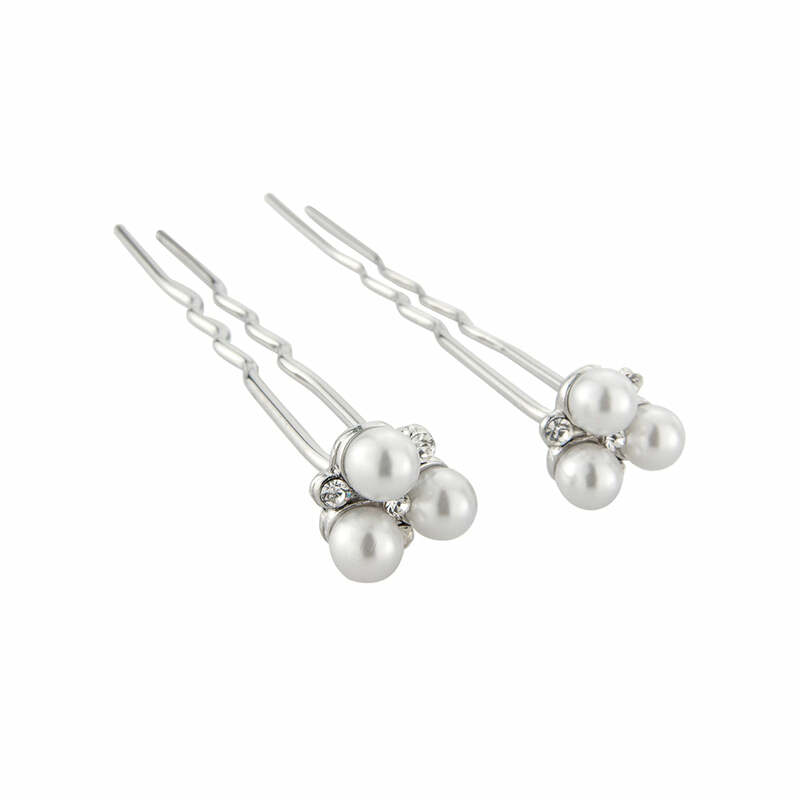 Delicate and beautiful, Simply Pearl Hair Pins will adorn your hair with class. Featuring three light ivory faux pearls with sparkling Austrian crystal accents set on silver tone prongs, they take inspiration from diamond and pearl vintage hair pins from the 1950s. Scatter several pairs throughout an elegant up-do for striking style or coordinate with a statement hair accessory for a more dramatic look. Designed to coordinate with our Simply Pearl Necklace, Earrings and Bracelet, the entire jewellery set looks divine worn together. Brides who prefer subtle wedding hair accessories will adore the beauty and simplicity of Simply Pearl Hair Pins. I have bought these for my sister who is maid of honor for me in August. She is having her hair in a messy bun and these hair pins looked gorgeous. They arrived beautifully wrapped too. Thank you.